We’ve all met the yetzer hara, the inclination to do evil that is wired into every human being. We’ve been tempted, we’ve fought – and sometimes we’ve fallen. 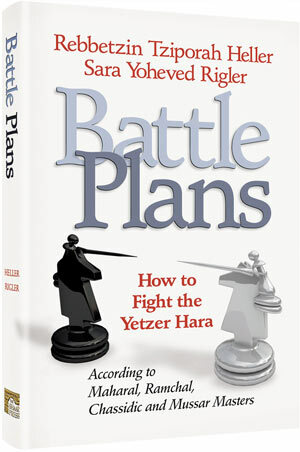 Acclaimed author, lecturer and educator Rebbetzin Tziporah Heller and Sara Yoheved Rigler , bestselling author of Holy Woman andLights from Jerusalem , join together to offer a remarkable collection of strategies to defeat the yetzer hara as it tries to defeat us. Drawing upon the eternal wisdom of Torah sages throughout the ages – Rabbi Yehudah Lowe, the Maharal; Rabbi Moshe Chaim Luzzatto, author of Mesillas Yesharim; Chassidic masters and great Mussar personalities – the authors combine profound scholarship with a deep and insightful understanding of our lives to give us effective, practical strategies to defeat the enemy within us.